SUPER NIGHT VISION employs the new ISP (Image Signal Processing) technology and the real-time image processing function to bring 10 times brighter images than our earlier models when recorded under night time parking mode. TIME LAPSE MODE in the THINKWARE F770 records 1 frame per second reducing the size of the video file. *Parking recording mode can be activated upon installing the THINKWARE F770 with the hardwiring cable provided. 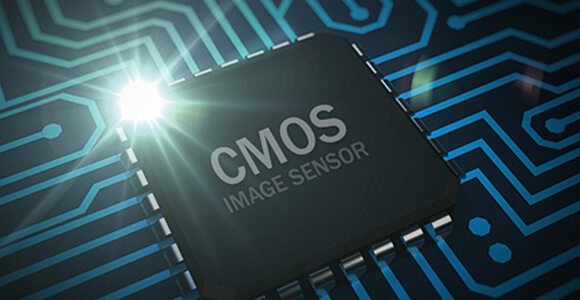 CMOS Image Sensors allow constant front and rear view Full 1080p HD resolution recording during both daytime and nighttime along with a 140-degree wide angle lens view. 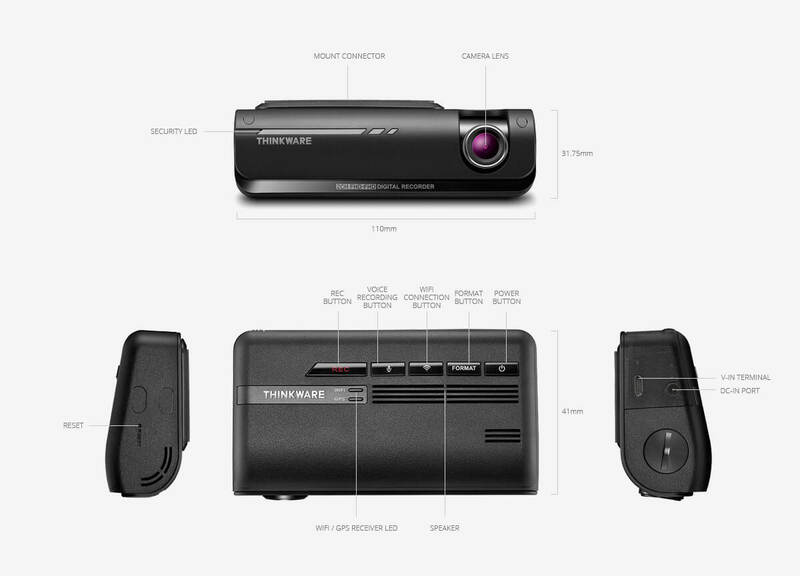 *THINKWARE F770 DASH CAM – FULL HD rear view camera is sold separately. The THINKWARE F770 DASH CAM is equipped with top-notch video enhancement technology on the market, ensuring the most vivid video recordings under any circumstance. 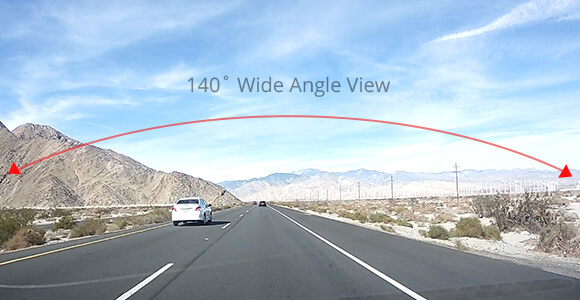 The enhancement Sensors of the THINKWARE F770 DASH CAM come with a standard function of brightness and color control as well as noise cancellation. 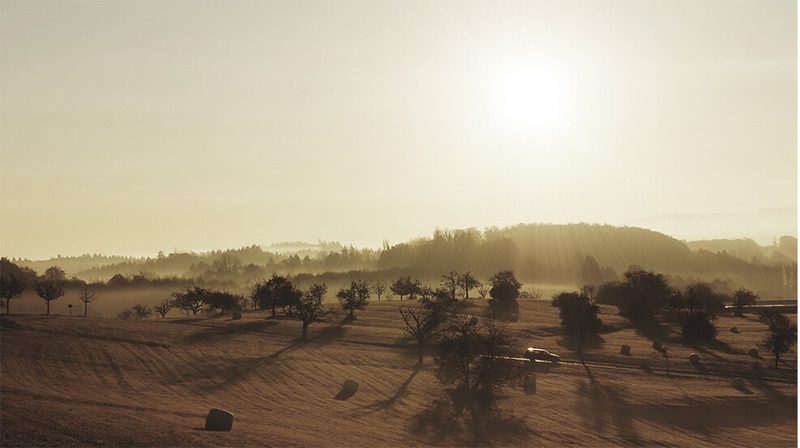 A sudden rise of light exposure caused by strong sunlight or headlight beams of oncoming vehicle may cause difficulties to assess the situation. Also, lack of lighting in a dark tunnel or night driving may pose the same problem. The automatic light exposure function controls the level of light exposure to maintain vivid and clear video recordings in all circumstances. 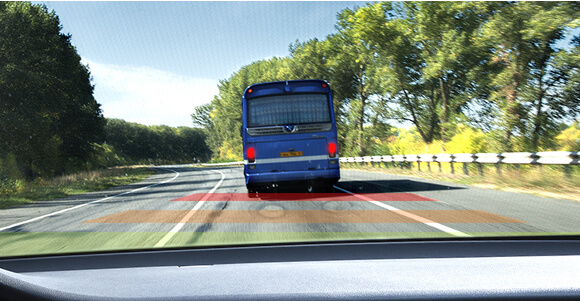 The THINKWARE F770 DASH CAM is equipped with the Lane Departure Warning System (LDWS) and the Front Collision Warning System (FCWS) to ensure driver safety with a voice warning. 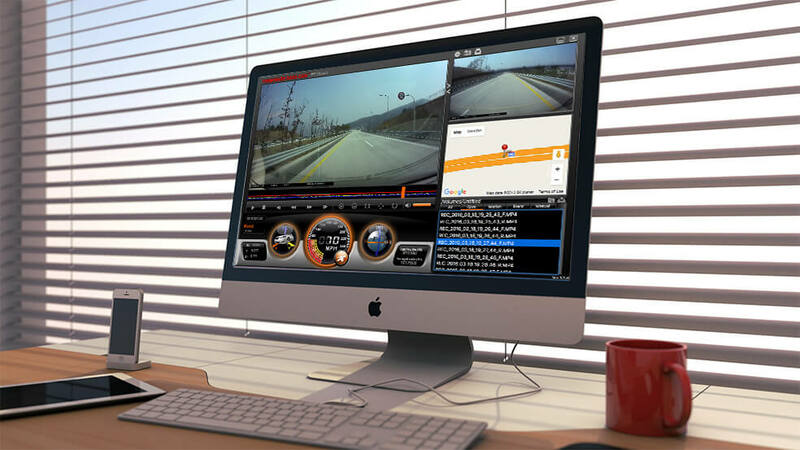 The THINKWARE F770 DASH CAM’s internal GPS provides accurate location information while the Safety Camera Alert function is on continuous alert to warn the driver of red lights and traffic enforcement cameras. Cultivate safe driving habits with the THINKWARE F770 DASH CAM. This mode is activated automatically when you start the car. Recorded videos are saved in one-minute segments with an auto-looping mechanism. Connect your smart device to your DASH CAM with the built-in Wi-Fi. 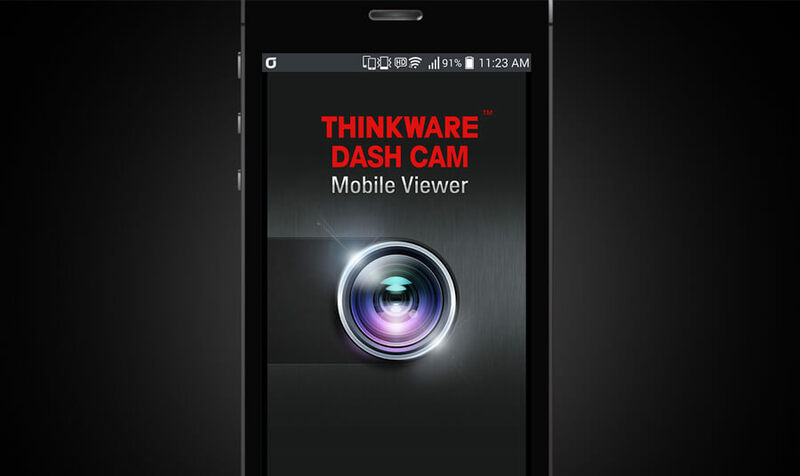 You can easily control, manage files and configure the settings of your Thinkware F770 DASH CAM from your smart device with THINKWARE DASH CAM Mobile Viewer App. 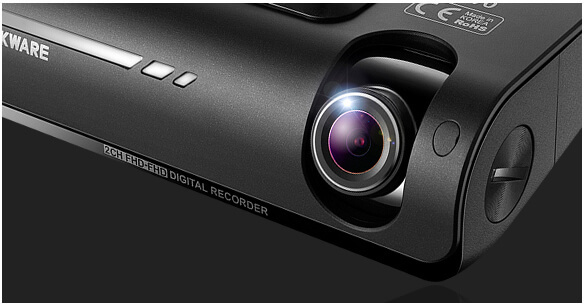 With the THINKWARE DASH CAM Mobile app and the built-in Wi-Fi, the Thinkware F770 allows you a convenient viewing of real-time recordings as well as downloading, accessing, or deleting recorded videos on your mobile phone. The intuitive and simple-to-use interface of THINKWARE F770 DASH CAM allows you an easy and convenient viewing of your recorded videos. 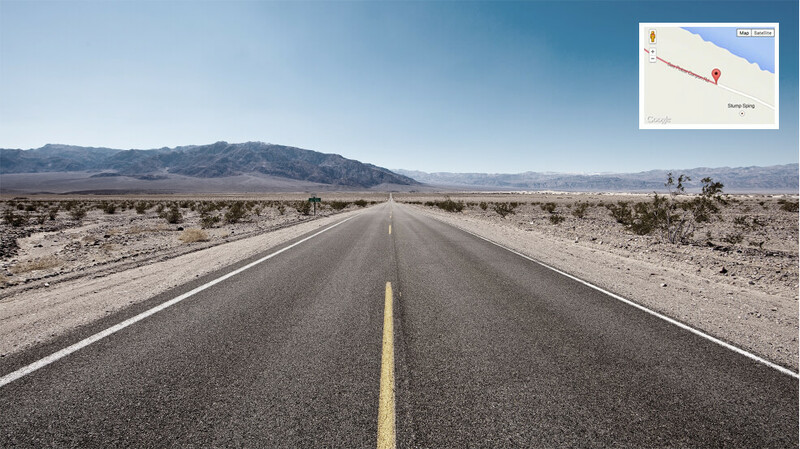 With the optional GPS Tracker, the THINKWARE F770 DASH CAM can record the vehicle’s driving speed and provide its precise location and routes identification on the map. 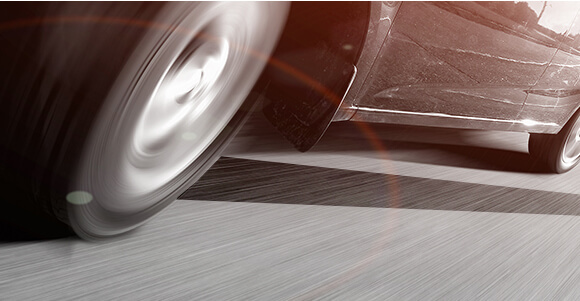 The GPS Tracker helps you to accurately assess the details of the surrounding area by providing you with the vehicle speed, the time of a collision, and the severity of impact. The video recording feature not only stores driving footages in case of an event, but it can also be used to track your holiday travel routes. The Nand Flash internal memory and the Micro SD external memory. This function ensures that your recorded video will still be safely guarded in the internal Nand Flash in case the external MicoSD gets compromised. The specially designed heat discharge construction and the built-in thermal sensor of the THINKWARE F770 Dash Cam protects the device and its data against intense heat by automatically turning it off to prevent overheating. Sound In Motion, your local Authorised Premium Dealers, Stockists and Installation Centres on the Sunshine Coast.